What I love about Christmas is that it is celebrated all over the world with a touch of its cultural own in every country. I am so fascinated with the way it is celebrated in Germany. Christmas wreaths, cakes, cookies, ginger bread, hot & spicy wine, traditional pine wreaths decorated with dried orange slices, cinnamon sticks, miniature gift wraps, glass balls and candles.The feel of Christmas starts right from the first week of December. Here are a few pictures of some wreaths getting ready. 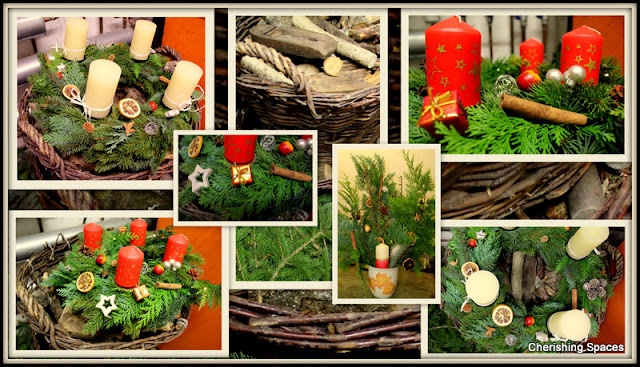 Thanks to my friends Renate and Marie for making them and teaching me how to make such beautiful wreaths. Every town in Germany boasts of its Christmas markets traditionally known as the Weihnachtsmarkt. I simply love these markets because of the rarities that you find here. 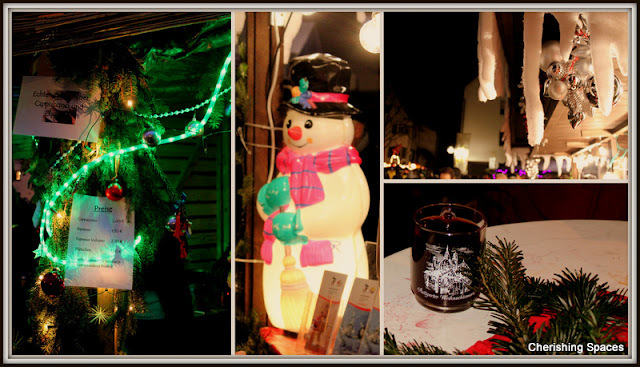 More on these Christmas markets in my next post. Meanwhile, do check out the old post on a traditional market here. 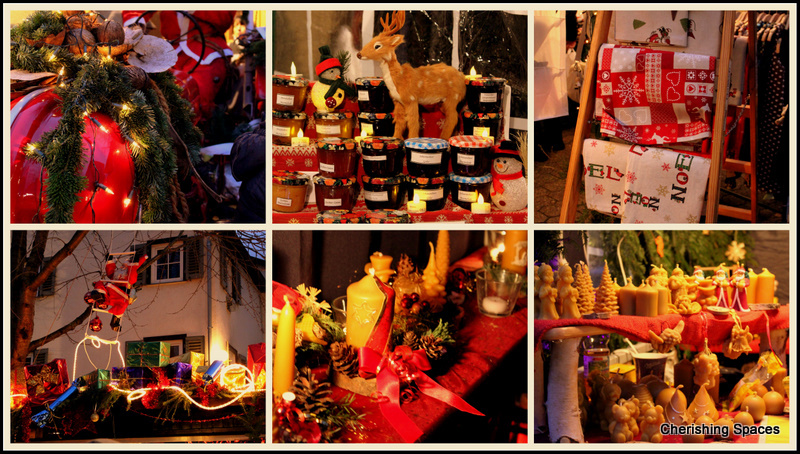 A few pictures from the Christmas market near my house. More posts on Christmas Market to follow soon. Enjoy your Christmas season!!!! They are all very beautiful Vasudha. I love the shops selling all those pretty things. Happy Holidays!!!!! Oh lovely!! Vasu.. the wreaths are superb… simply gorgeous!! The pics are amazing.. Somday.. I’ll spend one Christmas out of Dubai.. somewhere.. where Christmas looks so pretty!! Thanks for stopping by and linking at Colours Dekor..